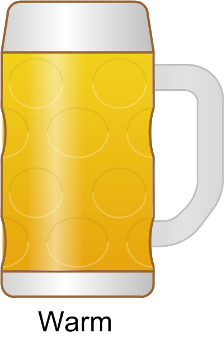 At Oktoberfest, you order beer by the liter, in a glass called a “Maßkrug”, not a mug or a stein. That ß-character is actually a double-s, so just say: MASS-KROOG. When you order, you shorten it to: “Maß”. For you that took high school German, this would be said “Ich kriege eine Maß, bitte” in high German. 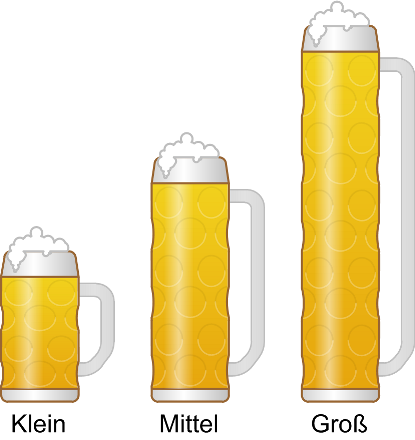 Beer might come in only one size at the Wiesn, but this article’s Visio SmartShape can be sized to just about any dimensions you like! Note: the dimples repeat themselves as the shapes get taller, which is one of the reasons this is a “Smart” Shape. 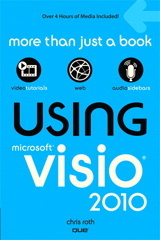 The repeating was done by implementing Visio custom line patterns. You can also choose to show no foam on your Maßkrug. Just right-click the shape and uncheck “Show Foam”. You can also set this via Shape Data fields. 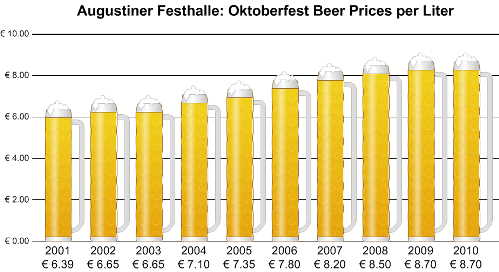 Using data take from Wikipedia, and the Abendzeitung, the Smart Maß can be used to create fancy graphs like this, which shows the increase in beer prices (per liter) at the Augustiner Festhalle. 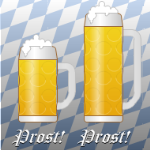 Have fun with your Visio beer maßkrug SmartShape, and auf geht’s zur Wiesn! Awesome. Can I get dark beer? I’m curious, what do you downloaders do with these shapes? Nice, i’m german and i can enter this. I can just confirm it.